justinsweber replied to tigerwoodKhorns's topic in Alerts! Hi everybody! Thanks for the super kind words. The sale of some of my speakers recently and the sale of the Hudsons is born of 2 life changes. 1 I have a new house... different setups and trying to build for my current needs. I lost my 3 car garage which was boat, Wife's ride and storage. Now we have boat and storage... Id like to get my wife back to parking in the garage as its her desire. If you guys have been watching some in the last few months, you'll see I love the cornscala concept... esp with Fastlane horns and ALK crossovers. The rest is just trial and error to make them nicer and even more stoutly made. One of the forum members got my JWC bins with Elpitrac mid and contracts tweeter... thats going to be a monster when done... few weeks later he called for a spare crossover... He ended up with a Triangle port baffles, horns and crossovers... I ended up paying for the development cost of my new monoblock amps... win win. 2nd major issues thats wonderful news, is that I was able to come to agreement with my partner and purchased his interest back in my company. I love to build speakers but intend to only do so on spec. The Demo units which went out for review and were used in shows are available. The Hudsons are remarkable in that they are the very best cornscala I could build.... great drivers, amazing custom crossover from ALK, solid build work with finish work to die for.... the Finish was perhaps the greatest challenge of the speaker as its a epoxy and then polished. Anyway, hope this helps clear the air. Lets all call it a fancy cornscala... Long live Klipsch and American HiFI! With that said... I vote the CWIV gets the 510 horn. The 2nd set of pics is the prototype that were made from Daves Orig JWC bass bins. We did a bit more refinement following the prototype. 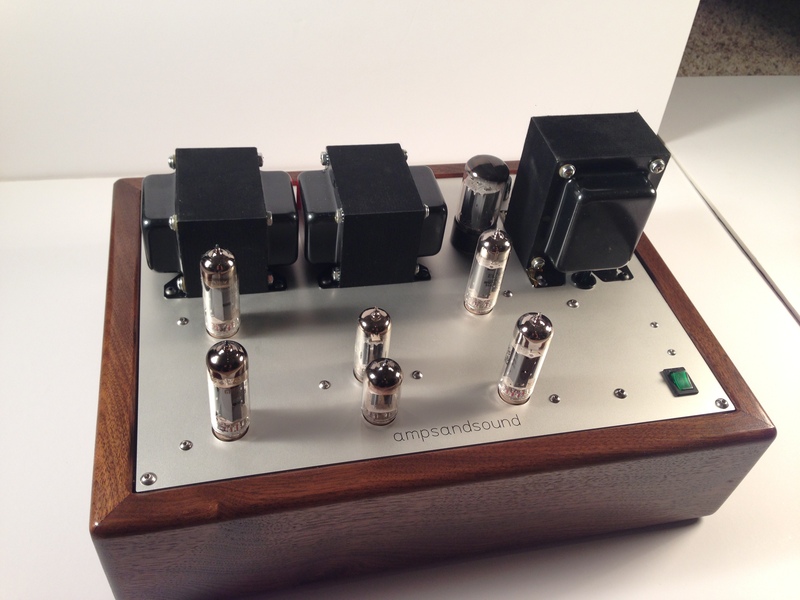 I can seem to fin the pic of it in the room but a search yields a mention in stereophile. they are 27" wife, 20" deep 42" tall. I can send some the pics I have. The crossover is available from ALK. Basically an AP12 450 set for the twin 12LAF woofers. Having to go smaller is ok. She isn’t forcing me but I don’t like being cluttered. Additionally I enjoy the process of building alot. 3/4” internals. 3/4” ply outer panels with 1/4” mdf for nice smooth panels for finishing. 1” of material weighs a ton. I can’t do the explanation. Not smart enough but just reporting what I got when measured. It’s not just horn loaded bit ported too. I believe this is what helps it dig lower. Dave made the bins for me from JWCs plans. I nearly threw my back out moving them. They are monsters. Loads the floor. Becomes too wide in my opinion too. Wait till you see what’s listed next. I got to chose the house but the listening spaces deff got smaller. Still available. They sounds amazing but my wife would like smaller. I’m in process of building a super heresy to take its place. It’s the kappa 15c crossover is a custom unit. ALK designed. 12db 800hz crossover point. The 904 driver and 510 is pretty amazing but Benifirs from eq. This solution need no eq. In my mind a positive. But I would push either out of bed for sure. Thats a great combo. What the crossover look like. I think AL Added a Zobel to make it well behaved. Its in the cue for bold as we speak. My wife is pretty accepting but its become the 1speaker in, 1 speaker out rule :-). I’ve used in my smaller cornscala and loved the results. But needed to go small. Bob offers a similar heresy but uses the middle of the two sizes of that’s faital horn. I assume it crosses around 1200hz. The big horn can be crossed as low as 500hz but I wanted to go with Faital loading recommendation of 800hz bighorn big sound. Dave Harris was kind eneough to cut new baffles for me. Going to be a 2 way cornscala with the large Faital horn. Eminence 12LFA giant killer. Faitail lth142 Fairal HF140 ALK AP13-800 specific the the K22/24 12LFA. Should be fun. From my experience, the JJ KT88 is king of the hill for bass. Its likely my fav KT88/6500 variant. If wanting a good all around... the Tungsol 6550. In general Ive been less than impressed with the GL... price vs performance isn't there for me. Wife wants the living room speakers smaller. 30" tall 20" wide. Sporting Eminence 15" woofer... similar to the K43. Large Faital horn and matching HF140 driver. Custom AP12-800 designed by ALK and made be me. This speaker simply rocks! Everything you want a cornscala to do but better and smaller. Justin 323-868-9722 Irvine CA area. Many are out of area to me. Shipping is a $350-500 expense. That being said, Arcebest does a great job moving stuff and get it there safely.